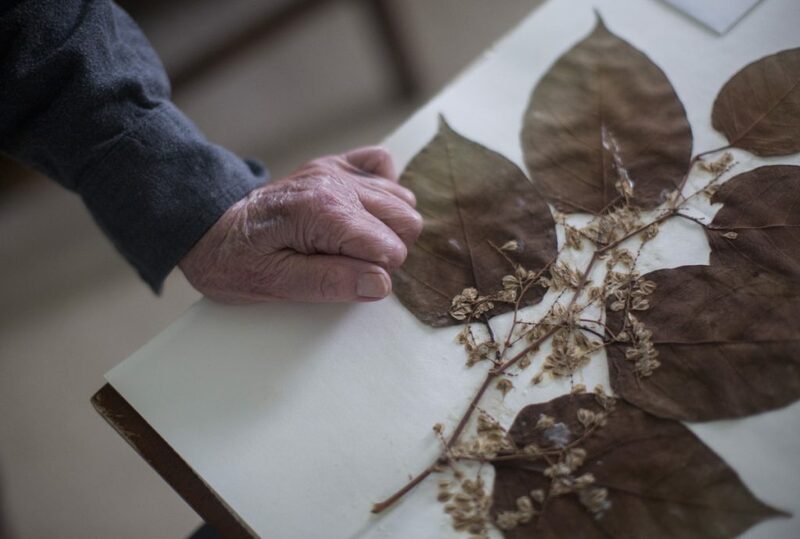 The 'little powerhouse' retiree has been instrumental in creating an herbarium that will serve as a visual library for more than 200 aquatic plants that belong in Maine. TOPSHAM — At 93, botanist Mary “Pixie” Williams is the oldest volunteer with Lake Stewards of Maine. But she’s also one of the busiest; she’s midway through creating a first-of-its-kind herbarium of the 232 aquatic plants native to Maine lakes, as well as the 11 invasives threatening them. 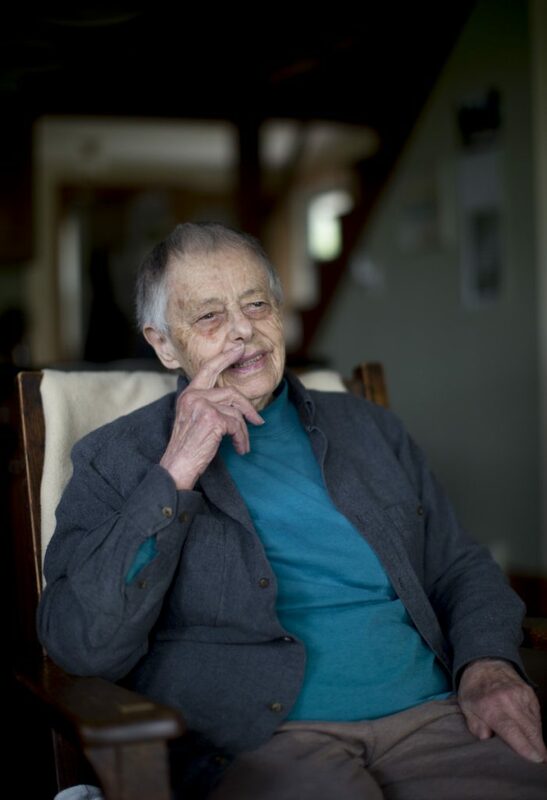 Within the Lake Stewards, the Topsham retiree is known as the force behind the herbarium, which has already been named the Pixie Williams Herbarium. 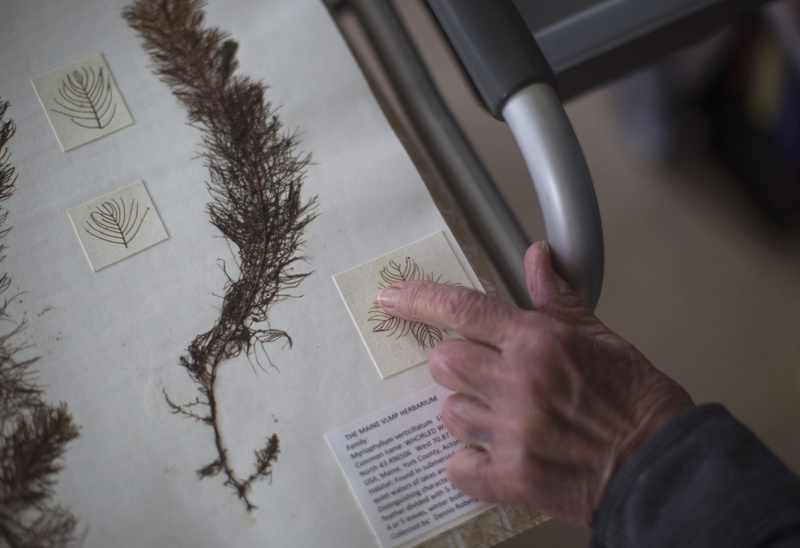 The goal is for the herbarium to serve as a visual library for the aquatic plants that belong in Maine. The pressed specimens will be a crucial research tool for the small army of volunteers who survey Maine’s lakes and ponds annually looking for invasive species that could damage or take over native ecosystems. HERE IS THE LIST of 11 plants listed as imminent threats to Maine waters by the Department of Environmental Protection. Five (marked with asterisk) have already been detected in Maine lakes. But try getting the ever-modest Williams to accept those compliments or any other honors. While she tells the story of her involvement with Lake Stewards of Maine, a friend and another long-time volunteer, Marilyn “Bunny” Wescott, sits nearby, and on no less than four occasions, Williams tries to redirect the interview to Wescott’s assets as a volunteer. “I wish you would talk a little more to Bunny,” she says. The way she tells the story of her immersion into protecting Maine’s lakes, it has merely been a series of attempts at retirement that didn’t take. She stayed at the Cary Arboretum through the early 1980s and then she and her husband made another attempt at retiring, this time to Cape Breton, Nova Scotia. 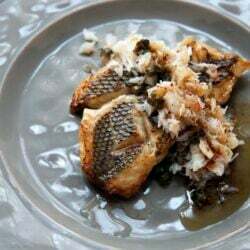 A specimen in the process of being archived at Pixie Williams’ home. But botany had become a passion she couldn’t ignore and while doing environmental work for the Canadian government she realized she needed an advanced degree in the subject if she were going to continue in her new field. The closest place to get a master’s degree was the University of New Hampshire, so she moved in with a daughter who lived close to UNH and began studying with Garrett E. Crow (now curator emeritus of UNH’s Hodgdon Herbarium). Upon returning to Canada in 1993 with a master’s in plant systematics, the study of how plant forms evolve over time, Williams went back to work (she was already in her late 60s). She worked as a researcher at the Bras d’Or Institute, Cape Breton University, then as an adjunct professor of plant biodiversity and a research associate at the Nova Scotia Museum of Natural History in Halifax. In 2002 the couple retired for the third time, this time to Otisfield, on a hill overlooking Pleasant Lake. “Sort of our last retirement,” Williams said. Shortly thereafter they met Joel Bloom, who was the director of the Pleasant Lake and Parker Pond Association and had helped start Seeds of Peace, a camp for young leaders. Bloom was also active in efforts to eradicate variable water-milfoil, an invasive threatening Maine lakes, and Williams said he immediately recruited her. Invasive plants choke out native plants and disrupt fish and wildlife habitat. They disrupt human habitat, too: Nobody wants to live on a lake that literally must be mowed to create waterways for boats. She started as a monitor in 2003, inspecting boats as they came off the lake. These boat inspections are crucial pieces of the work done by lake stewards, because recreational boat users may unknowingly transit invasives in much the same way a cold is passed by human touch. An invasive clings to a boat, often the propeller, and if it isn’t caught before the boat drives off to the next prime fishing spot on a lake 25 miles away, it can carry the plant to its next home at the second lake. And so on. Through working with Bloom on Pleasant Lake, Williams encountered the Volunteer Lake Monitoring Program, now Lake Stewards of Maine, and again, her expertise was welcomed with open arms. She estimates she’s spent time on about 30 of Maine’s thousands of lakes and ponds in the roughly 15 years she’s been involved with the group. Often in a kayak. As a plainspoken woman, she’s not apt to wax eloquent about her motivations, but she enjoys time on the water and she thinks the world of the nonprofit. 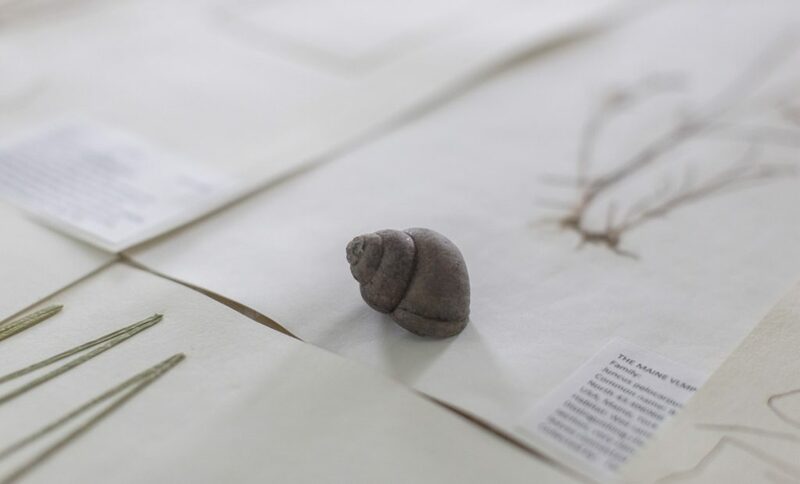 A Chinese Mystery Snail sits among the herbarium samples at Pixie Williams’ home. 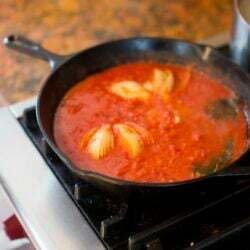 Though native to Asia, the snail has established itself in North America. This is not the only volunteer group in Maine that protects the state’s lakes – Bacon from the Department of Environmental Protection listed off more than a half dozen, including the Maine Lake Society and the Lakes Environmental Association. Many go back to the early 1970s (the Volunteer Lake Monitoring Program was founded in 1971). Additionally, the Passamaquoddy tribe monitors many lakes in Washington County. “They do an incredible amount of monitoring on their land,” Bacon said. The more eyes on the lakes the better because, as Bacon explains it, Maine has a astounding number of bodies of inland water. Back in the 1960s, 6,000 were given a lake identification number by the state, she said, but GIS, or Geographic Information System, an advanced computer mapping technology, has identified 33,000 lakes and ponds in Maine. About 2,700 are 10.1 acres or larger. Many are too remote to have human visitors. But the ones that do are subject to many threats, including invasive water plants. Only about 26 water systems (lakes and connected bodies of water) in the state are infested with aquatic plants, which includes 50 discrete infested bodies of water. That’s far less than 1 percent of the total number of water systems in the state. “That is a rare record nationally,” said Roberta Hill. She said in many states, more than half the water bodies have been invaded by non-native plants, which disrupt the natural ecosystem. Only five invasive aquatic plants have been found in Maine: hydrilla; European naiad; Eurasian water milfoil; variable water-milfoil; and curly-leaved pondweed. Six more plants have been determined to be of imminent threat of showing up in Maine waters soon. These rapidly proliferating plants can choke the life out of a pond or lake if left unchecked. Annual surveys, whenever possible (Moosehead took six years to complete) are part of that line of defense. So is the Pixie Williams Herbarium. 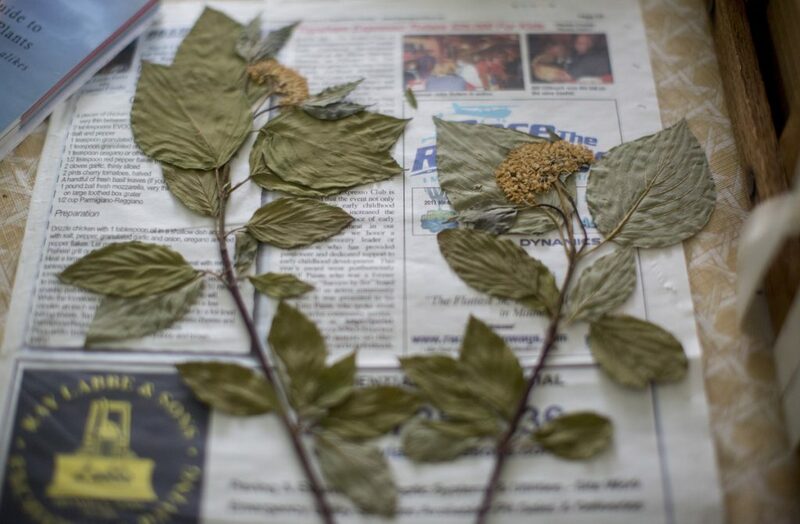 Williams is working on more specimens for the herbarium at her home in Topsham (she moved in with her daughter Margaret a few years ago). One of her closest collaborators is Dennis Roberge, another volunteer who is also a diver, and as she shows some of the specimens – which look like pieces of art – she explains that Roberge has a gift for carefully retrieving plant samples to be dried and mounted. The idea for the herbarium came to Williams while she was watching Hill teach at volunteer trainings. The specimens, which are dried and pressed and then meticulously glued to acid-free paper, help illuminate plant details. 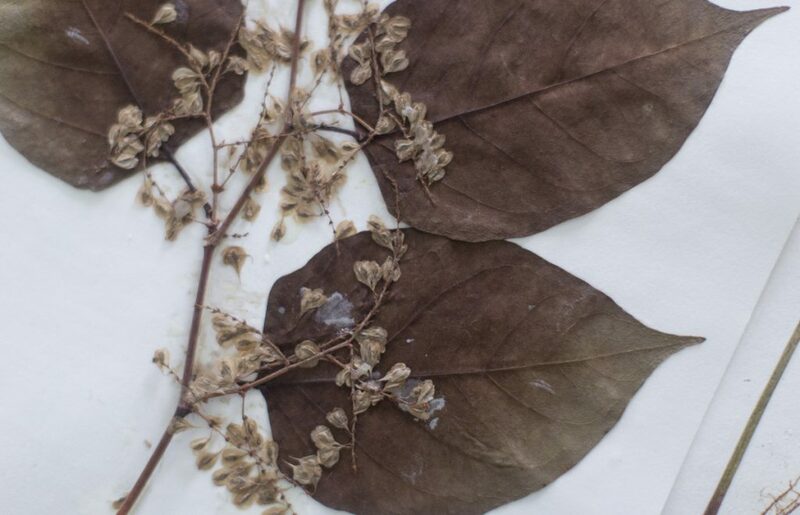 Thanks to Williams’ gift to Lake Stewards of her own specialized herbarium microscope, volunteers can easily view all parts of the specimen. At 93, and with what she describes as a “bum knee,” it isn’t easy for Williams to get out in her kayak anymore. During a visit, she used a walker. But she still practices tai chi. And she still made it out once last fall, to Ceasar Pond in nearby Bowdoin, where she met up with a group of other volunteers, including Wescott.